Meet Carol Cooper, doctor, journalist, and most recently, novelist. 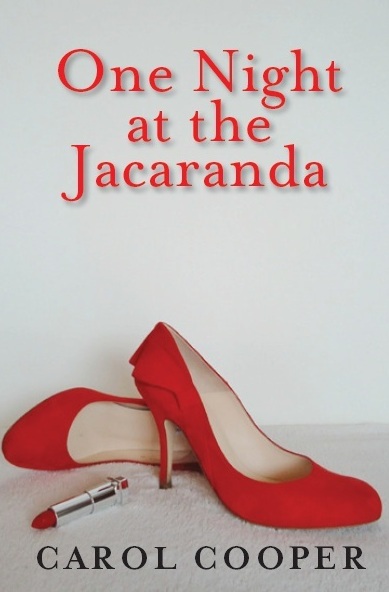 Her debut novel One Night at the Jacaranda is about dating but has darker undercurrents. Carol has also authored a string of non-fiction titles on health and parenting. She works as a family doctor in London and is a journalist for The Sun, the biggest-selling newspaper in the United Kingdom. I asked Carol to tell us about how her medical experience informs her writing, and the writers who inspire her to constantly improve. Dr. Cooper, you’re a novelist with a unique perspective on writing from your years in the medical profession. You’ve got quite a backlist of non-fiction titles based on your expertise as a doctor. I find it fascinating that your first book of fiction, One Night At The Jacaranda is contemporary, educated romance. Where’s the cross-over there: what parts of your career inspired you to pursue lit-fic romance? Or did it work the opposite way, that your career inspired you to seek out something totally different as a writer? I’ve always wanted to write a novel. I just didn’t know which one it would be. After a series of false starts, I ended up writing, as most novelists do, the kind of book I’d enjoy reading myself. I could tell you that my fiction is totally different from my non-fiction and has nothing to do with medicine, but that would be a lie. There’s always been a strong medical strand running through my writing, just as there is with One Night at the Jacaranda. First-hand experience can add incredible richness and bring a story to life. When reading, I always skip long paragraphs of description, especially when it’s obviously grafted on after meticulous research rather than gained through years in the field. Someone who really knows about, say, trading equity derivatives or cattle-herding in the Caucasus, can season their creative writing with just the right amount of background. It’s obvious why: they’ve already integrated their work into their own life. As a doctor, what got you into fiction? Were you an avid reader and writer before you started writing professionally, or did the desire to write hit you like a lightning bolt from the sky? My bookworm habit goes way back. I’m the proverbial cereal-packet reader even if, according to my mother, I was late in learning to read. In New York when I was about four I deciphered traffic signals and asked why there was an L in WALK. I still don’t know the answer, but that’s the richness of the English language. I love observing it and using it, and I relish the challenge of using ordinary words to say extraordinary things. There was never a bolt of lightning because I’d wanted to write long before I ever thought of being a doctor. When I was five years old, I’d make up stories about witches smoking in bed. Fiction had to take a back seat when I was a student and a young doctor, but in my 30s I wrote a clutch of unpublished novels, two of them for children. Later came a racier story about a young female surgeon. She spent a lot of time horizontal and never got to the top. Just like that novel, which is still languishing in a drawer. Ha! I got a good laugh out of that one. One of the characters in your novel, Sanjay, is a single man dying of cancer and hoping to find the right partner before it’s too late. Was Sanjay inspired by anyone in particular? An amalgamation of people you’ve met clinically? Or is he entirely fictional, a product of your imagination? All the characters in One Night at the Jacaranda are entirely fictional, though some of the ideas have a root in reality. After all, writers write what they know. Being a doctor is a wonderful privilege because it brings you close to a huge range of human experience. You see the worst in people, as well as the best. But the bottom line is that you can’t put real patients in a novel, which has got to be good news for sick people. You have a great post on your blog, “Pills & Pillow Talk” (which name I love, by the way) called “Why I Write“. It’s great because, while it tells the story of what inspired you to write “One Night At The Jacaranda,” you don’t actually explain what motivates you to keep writing, which makes the post hilariously misleading. So, for our readers, would you mind giving us a little insight into what keeps you writing, through the good times and the bad? It’s because there’s always something to write about. I’ve invariably got a notebook with me, and if it’s full I use my BlackBerry, because wherever I go there’s something happening or something I overhear that begs to be jotted down. After all, doctors are trained to be observant. I’ve also got a keen ear for dialogue. The jottings may or may not go into my writing, but they’re there to inspire me. If I can read my writing. Are there any particular books or writers who inspire you to constantly improve your craft? Who made you want to start writing in the first place? The most useful advice on the craft of writing is probably “The best style is the style you don’t notice.” It’s from Somerset Maugham, whose books I devoured as a young adult, and incidentally he too was a doctor. Maugham might be considered old-fashioned today, but he could really tell a story. The funniest book I ever read was Jean Kerr’s Please Don’t Eat the Daisies (now out of print). When I had three children of my own, I realised that Kerr had if anything understated the chaos of family life. These days there are many great contemporary writers I admire. I read a lot of good chick-lit, and I also love Harlan Coben, Tony Parsons and Kate Atkinson. Which authors led me to write in the first place? That was a long time ago so it might have been Enid Blyton or Susan Coolidge (who wrote the What Katy Did series). Today’s New Year’s day, so I have to ask: What are your New Years’ resolutions both as a writer and a doctor, personally and professionally? I have three main resolutions. My resolution as a writer is to include at least one doctor in every single thing I write. Since I’m working on a follow-up to One Night at the Jacaranda, that one’s getting off to a good start. As a doctor, I plan to start on the chore of annual appraisal even earlier than I did in 2013, in the hope that the 200 or so hours that it takes will be less of a burden. In my personal life – and I suspect my new husband will approve – my New Year’s resolution is to think through what I say before I open my mouth. You can’t edit what you’ve said, unlike text in a Word document. And of course, my favorite question to ask all authors: What’s the absolute worst advice you’d give to any aspiring writer? The worst advice ever? “Don’t read books. Tell the world you’re far too busy writing to bother with other people’s stuff.” I’ve heard a lot of would-be authors say exactly that, without realising how arrogant it sounds. For one thing, they’re missing out on a lot of enjoyment. For another, everyone, no matter how experienced, can always gain insights from reading other writers. Obviously I’m not advocating plagiarism, but shouldn’t everyone be open to other ways of thinking and saying things? Sometimes newbie authors are afraid that reading books will interfere with their own style. “But I don’t want my writing to come out like Joanna Trollope!” they say. Ha! They should be so lucky. Three cheers to Carol for hanging around to answer my questions! You can find her blogging at Pills and Pillow Talk or get more information about her novel at her Amazon page. In other news, I’m thrilled to be doing these interviews as a regular installment for #WriterWednesday now, and I’m having a blast reading everyone’s answers to the questions I come up with. 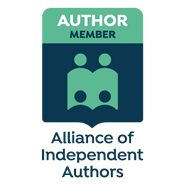 If you’re interested in being featured as a Writer Wednesday author on The Z-Axis, leave me a comment with a little info about you and an email address I can contact you at. I’ll get in touch with you to set something up if I’m interested in your work. Super interview, Amira and Carol – well done! I read Carol’s book when it came out and loved it, so I’m really pleased that she’s working on a sequel now. Although I must say her story written as a child about witches smoking in bed sound terrific too – brilliant! Doesn’t it sound like a fun story? I predict a children’s illustrated edition of that one one day. Thanks for reading, Debbie! Thanks for asking me such good questions, Amira. Thank you so much for being a part, Carol!